The Apple TV (4th generation) and Apple TV 4K are the current versions of Apple TV. The 3rd generation Apple TV device boosts the internal processing power of its predecessors and provides long overdue 1080p HD playback, but ultimately, the stand-alone device falls short of the competition regarding features and the amount of content you can enjoy through it. However, for those with an iPad, iPhone, or iPod Touch, Apple TV can go from being a second-class citizen to an essential part of your gadget ecosystem. Apple TV packs a lot into an unassuming package. The box itself is 4 inches by 4 inches and is slightly less than an inch in height. The back of the box holds an HDMI input, a network input, an input for the power plug and an input for optical audio. Apple TV comes with a metallic-colored remote, which is both compact and simple in design, with only seven buttons (including directional buttons) to control Apple TV. Like most Apple products, Apple TV is a breeze to set up and use. In only a few minutes, you can connect the Apple TV to your wireless network and start browsing the offerings, which include Netflix, YouTube, and Vimeo, in addition to the iTunes library. The interface is dominated by large icons that take you to different sections, and if you don't like using the small remote to interact with the device, you can download a free app on your iPhone or iPad and use it to control the Apple TV. Want to watch movies from the iTunes collection on your Mac? No problem. Apple TV can use home sharing to connect with your computer, or if you are at your computer, you can click the AirPlay button during iTunes playback to send the video to Apple TV. If you're on a Windows PC, download the third-party application AirParrot to accomplish the same thing. Apple TV also includes iCloud support, which means you can check out photos in your Photo Stream, and if you subscribe to iTunes Match, you can stream your music from iCloud. Apple TV even uses your Photo Stream for a personalized screen saver. The inclusion of 1080p video shores up one of the biggest weaknesses found in prior generations of Apple TV, though not all shows in the iTunes database currently support 1080p, and if the show says "HD" it only supports 720p. You'll need to look specifically for 1080p to ensure the video supports the higher definition playback. In addition to these features, Apple TV supports a wide variety of internet radio channels and podcasts. You can also view the latest news from Wall Street Journal Live. For what it does, Apple TV is great. The set up is simple, video playback is excellent, and it is easy to get the ball rolling with subscription services from Netflix, MLB, NBA, and NHL. The problem with Apple TV isn't what it does. It is what Apple TV doesn't do, which is a lot when compared to similar products like the Roku device. Here's what you won't get with Apple TV: Hulu Plus, Amazon Instant Video, Crackle, Pandora Radio, HBO Go, Epix, Disney, NBC News, AOL HD, Cnet, Fox News, Facebook, Flixster, Mog, blip.tv, comedy.tv and (believe it or not) much more. Those are all channels you get with the Roku device, which is cheaper than Apple TV if you go with one of the entry-level units. The full-featured Roku device that supports limited gaming has the same retail price as Apple TV. This makes Apple TV a hard sell for anyone who is not already entrenched in the Apple ecosystem. It's a great device, but it doesn't measure up to the competition in the feature department. On the flip side, Apple TV is one of the best accessories you can buy for the iPad. Not only does Apple TV interact well with iPad and iPhone services like Photo Stream and iTunes Match, but it also supports AirPlay. With Airplay, you can stream music and video from your iOS device to your Apple TV, and AirPlay display mirroring means you can stream your iPad screen to Apple TV even if the app you are using doesn't support video out. This capability makes Apple TV one of the best ways to connect your iPad to your TV. Apple TV does three things for iPad owners. It overcomes the primary weakness of Apple TV by granting access to Pandora, Crackle, and other video streaming services offered on the iPad. It connects the iPad to the TV, where you can check Facebook or browse the web on your big HDTV, and the iPad/Apple TV combination results is a great gaming console, with some games such as Real Racing 2 splitting what's displayed on the big screen and what is displayed on the iPad to enhance the iPad-as-a-controller experience. Should You Buy Apple TV? The industry is on the precipice of ditching analog video (DVDs and Blu-ray Discs) in favor of digital video, especially streaming video. While Steve Jobs once called Apple TV a hobby, it is clear Apple is intent on turning this hobby into a valuable asset. 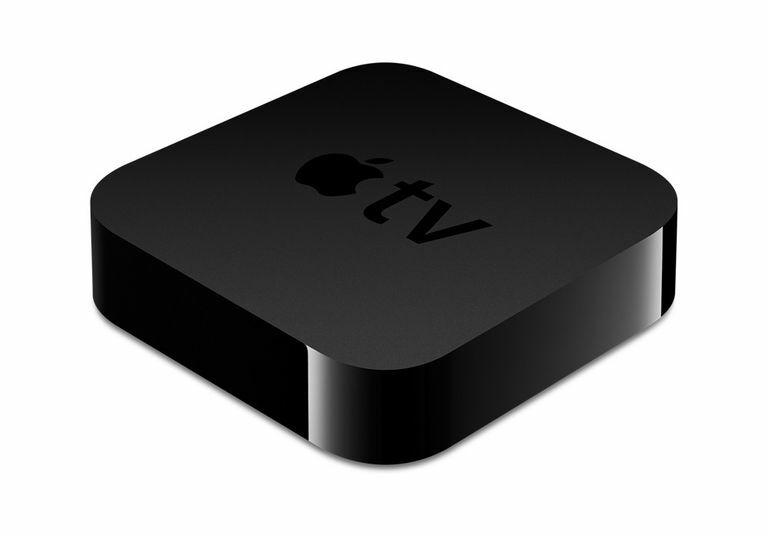 The question of whether Apple TV is right for you is a relatively simple one to answer. If you have an iPad or iPhone, Apple TV is a great addition to your household. Many of the services and features go hand in hand. If you have an Android or Windows phone, competing devices like Roku and Amazon Fire TV might be better options.